What's in a name? It depends. I've been asked my opinion about naming new Coney Island attractions after old ones, specifically the name "Astrotower," which is being co-opted by Luna Park to use on their newest ride. The other names in question are Luna Park, Thunderbolt, Steeplechase, and Feltmans. In theory it shouldn't matter, and if it were anywhere else but Coney Island, few people would care. These names, however, carry a lot of weight because of the dramatic way in which they met their demise. The original Luna Park and original Feltmans were failed businesses when they ended their long runs. And there were reasons for their failures. They had outlived their glory days and, like other older attractions, failed to change with the times. Luna Park is a generic name that was used all over the world. Coney's original 1903 Luna was actually named "Thompson & Dundy's Luna Park." The founders were proud of their creation. I could never figure out why Zamperla didn't add their own name to the new park — it was as if they were embarrassed by it. Using a new name or adding a twist to the name would have been a step forward instead of a confusing step backward. The media and the public are often confused as to whether the old and new parks are the same. In 2010 Zamperla USA President Valerio Ferrari told the New York Daily News that he decided on the Luna Park name after "devouring" my book, Coney Island Lost and Found. I didn't think reviving the name was the best idea, but in the end it didn't really matter, as Coney Island seemed to be moving forward. 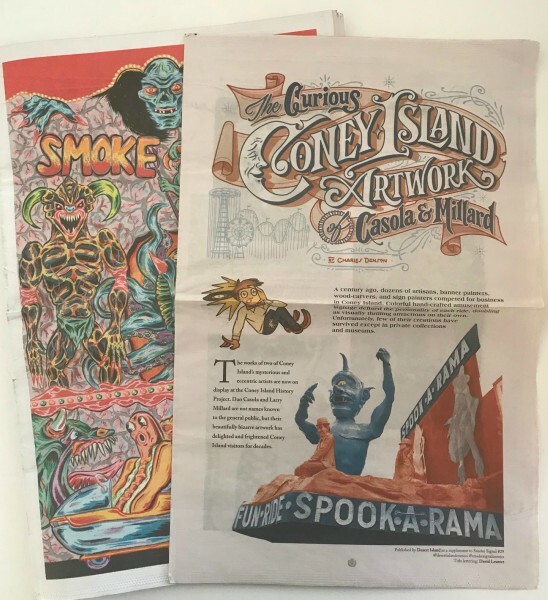 At the time, the Coney Island History Project put together an extensive, celebratory exhibit about Luna Park history and I wrote an op-ed piece in the Daily News about how beautiful and exciting it was to see the spectacular lighting on Luna's new entrance. I was no fan of Luna's corporate mindset but I was curious to see where it would go and we welcomed them. Valerio was friendly and gave me free rein to document the park's construction, but that soon came to an end. When Luna Park tried to evict two historic businesses on the Boardwalk, I was interviewed by the Wall Street Journal and frankly expressed my displeasure. Valerio was pissed off and told me that I was "too loud." I had to remind him that I didn't work for Luna Park, and that to me it was personal, not business. These Boardwalk people were my friends and their livelihoods would be ruined. I realized that the city's plan for a single operator was in the works and that this was the beginning of a process to wipe the slate clean. I had little to do with Luna Park after that. Following a public outcry, the two businesses were allowed to stay and were given new leases. As far as using the Feltmans name, the only thing I can say is that if you're actually making the greatest hot dog in the world, a new and delicious product, then why not put your own family name on it? Be proud of your accomplishment and write a new chapter! Publicity and competition with Nathans can only take one so far. There is an inherent problem with naming new attractions after old if you are not truly reviving the original but just copying the name. Renaming is a reductionist ploy that doesn't honor or pay tribute to something historic. Steeplechase, Thunderbolt, and Astrotower were all destroyed in horrible ways that are still traumatic to anyone who knew the real thing. Fred Trump's sadistic demolition of the Steeplechase Pavilion, which included partygoers hurling bricks through the stained glass windows of the pavilion, is still a horrifying memory to those who loved the place. It's kind of creepy to see the name tacked onto a ride that has no relation to the original. It makes no sense. The Thunderbolt Roller Coaster was ordered demolished by Mayor Giuliani, who repeatedly lied about his involvement until forced to admit under oath in court that he personally and illegally gave the orders. It was a real abuse of power, and the demolition still brings up bad memories of the stubborn battle between owner Horace Bullard and the authoritarian mayor. I wrote the last-minute landmark application for the structure and remember the Landmarks Preservation Commission's refusal to even look at it. Whether you loved or hated the old ruin, it should not have been illegally demolished. The reproduced signage on the new coaster is a constant reminder of abuse of power in Coney Island. The new "Thunderbolt" coaster uses the name and signage, but where's the old hotel below it? The old Thunderbolt was special: historic and eccentric, expressing the quirkiness of the real Coney Island. The new tubular coaster is a great attraction and people love it, but what does it have to do with the original? Nothing! Why not come up with a new name? Putting an old picture of the real T-Bolt in the ticket box is a nice touch, but it has no context and context is everything when it comes to history. That brings us to the Astrotower. You don't have to be an old-timer to recall what happened to that landmark. The wounds are still fresh, and the city's condemnation and demolition of the tower was a Fourth of July fiasco that will go down in infamy. There is no need to detail the bizarre events that led up to the dramatic emergency dissection of the beloved Astroland icon, but it should be obvious that using its name for another attraction is kind of tone deaf and antagonizes those who feel that it's inappropriate. The general public may not care because, after all, they come to Coney for fun, not to dwell on the past or politics. Many think it's not a big deal. I told Luna that using the Astrotower name was not a good idea and that I was not the only one who felt that way. Carol Hill Albert, whose late husband built the original tower, was not too happy about it either. There are other creative ways to pay homage to attractions from the past. Sometimes it's better to leave something alone. You can dig up a corpse but it's impossible to bring it back to life. It's called grave robbing and just makes a mess. There's a good reason that you don't see many new cruise ships named "Titanic." Childs Restaurant, B&B Carousell, Cyclone, and Parachute Jump all represent real history as well as the future, and Zamperla controls three of these landmarks. Isn't that enough? Luna Park has given the public a slick and exciting ride showroom with a beautiful gate. The old Luna was about exotic fantasy architecture and "weird whimsy." The new one is more about business and efficiency. A couple of months ago I was approached by the new management of Luna Park after Valerio Ferrari left the company, and invited to sit down with them to discuss history. We had a long, cordial meeting. I also spoke with their branding consultant and gave my unbiased opinion about Coney Island's future. It seems as if they're open to new ideas. I'm not big on corporate environment and feel much more comfortable and at home at Deno's Wonder Wheel Park, with it's family dynamic and historic atmosphere — to me that's the authentic Coney Island that I grew up with. Context is an important component to history, and learning about the past does not have to be academic. The Coney Island History Project's stated mission is not about nostalgia, which is longing for a past that never was. We're interested in what endures and why, and how it will work in the future. I hope that the Boardwalk leases will be renewed. I hope that the old businesses that have endured will survive and work together to preserve Coney's heritage while moving into the future. That would be truly historic. I was encouraged by the dialogue generated by my story about nostalgia. I'd like to add a simple example of a successful way to honor Coney Island History. That would be Coney Island USA's Mermaid Parade! This beloved annual rite harkens back to the old Coney Island Mardi Gras, a tradition that defined Coney Island for half a century before coming to an end in 1954. When CIUSA revived the idea of a parade, a new name and theme were chosen and they created a magical event with roots in a long-gone Coney Island ritual. There was no recycling of a name from the past. The media recognizes the origins of the Mermaid Parade when reporting about it and this eliminates confusion or controversy. That's what's meant by context. Respect the past, but create something new and build on it. Use creativity and you will succeed. So many old-timers who still remember the Mardi Gras have come to the History Project to share their vivid memories and to express their joy at seeing the spirit of the old event continue as the Mermaid Parade. This is amazing considering that the last Coney Mardi Gras parade last took place more than 60 years ago! 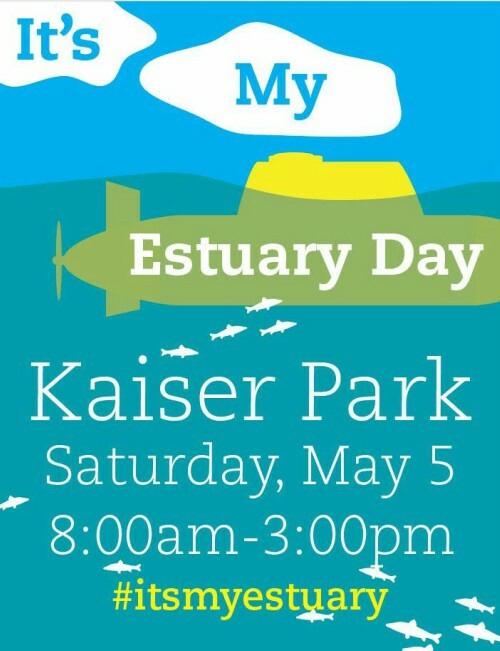 You're invited to the 4th annual It's My Estuary Day on Saturday, May 5, from 8:00AM-3:00PM, a day of service, learning and celebration along Coney Island Creek in Kaiser Park! The free event will include underwater robotics, oyster monitoring, diving demonstrations, water chemistry techniques, seining, microscope viewing of plankton, displays by environmental organizations, host talks, coastal clean up, lunch and networking. 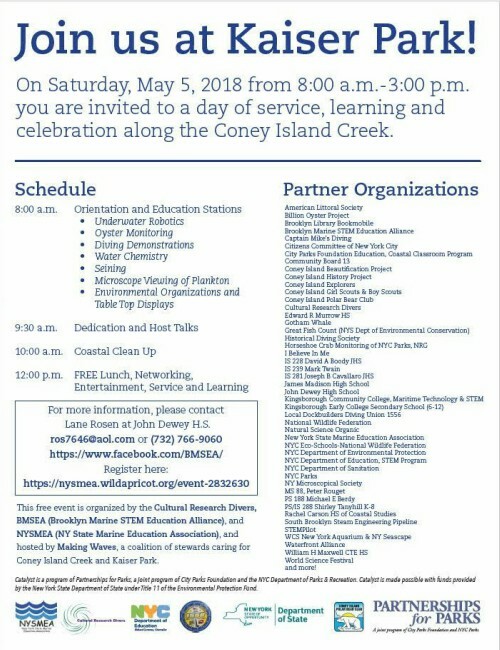 Featuring over 40 partner organizations, this annual community event is organized by the Cultural Research Divers, BMSEA (Brooklyn Marine STEM Education Alliance), and NYSMEA (NY State Marine Education Association), and hosted by Making Waves, a coalition of stewards caring for Coney Island Creek and Kaiser Park, of which the Coney Island History Project is a member. 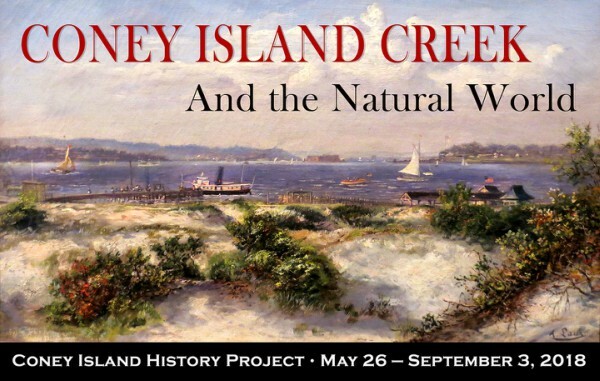 Stop by the Coney Island History Project's table to learn about our free programs, including the new exhibit "Coney Island Creek and the Natural World," opening Memorial Day Weekend. Pick up a copy of the Coney Island CreekWalk at Calvert Vaux Park booklet produced by the History Project for Partnerships for Parks. We'll have bilingual interviewers in attendance to record your stories in English, Russian and Chinese about the neighborhood and the Creek for our Oral History Archive. Visitors may also take a self-guided walking tour by following the markers created by the Charles Denson of the Coney Island History Project for CreekWalk at Kaiser Park. The Coney Island History Project's special exhibition for the 2018 season, opening Memorial Day Weekend and on view through Labor Day, is "Coney Island Creek and the Natural World." Coney Island is best known for its magnificent artifice, a manufactured reality and fantasy world that replaced the vibrant natural environment of sand dunes and salt marshes that existed before development began 200 years ago. Very little of that environment has survived. The towering sand dunes were flattened, and the wetlands were filled in for development leaving the island vulnerable to storms. Even the island's world-famous beach is artificial, created with sand hydraulically pumped from offshore shoals. 19th century painters and photographers were able to capture images of a beautiful landscape that was about to be transformed forever as an isolated sandbar was transformed into the "World's Playground." Ironically, the much-maligned estuary known as Coney Island Creek has become a key to understanding what was lost to development and what can be restored for future generations. The creek and its parks represent the true essence of Coney Island. 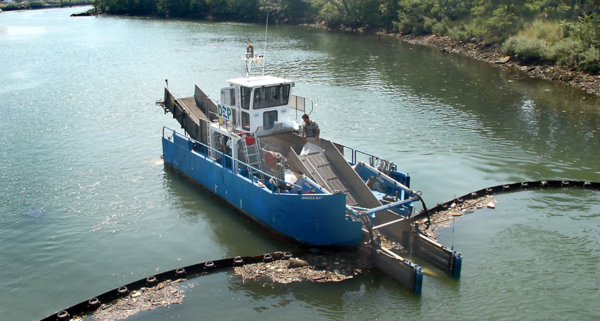 Once a pristine salt marsh consisting of more than 3,000 acres of wetland habitat, Coney Island Creek was the original attraction at Coney Island, attracting anglers, hunters, writers, and artists to hotels along the creek's shoreline. For the 2018 season we are planning a multi-media exhibit, curated by Charles Denson, called "Coney Island Creek and the Natural World" consisting of maps, photographs, posters, art, artifacts, oral history, and video. Among the rare treasures on display is Coney's "first admission ticket," the wooden 1823 sign from the Creek's Shell Road toll house advertising the rates for horse and rider and coaches. 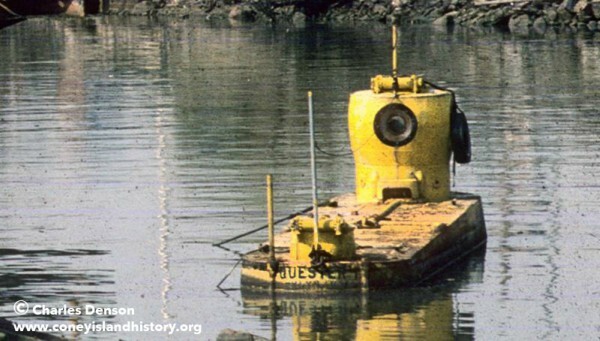 It is Coney Island's oldest surviving artifact and part of our permanent collection. The exhibit describes the flora and fauna of the island's environment as well as recent environmental projects that are restoring habitat once lost to development and pollution. Through the lens of history, art, and ecology, we will explore Coney Island's transformation and why it's important not to repeat the mistakes of the past. The Coney Island History Project exhibition center is open free of charge on Saturdays, Sundays and holidays from Memorial Day Weekend through Labor Day from 1:00PM-7:00PM. 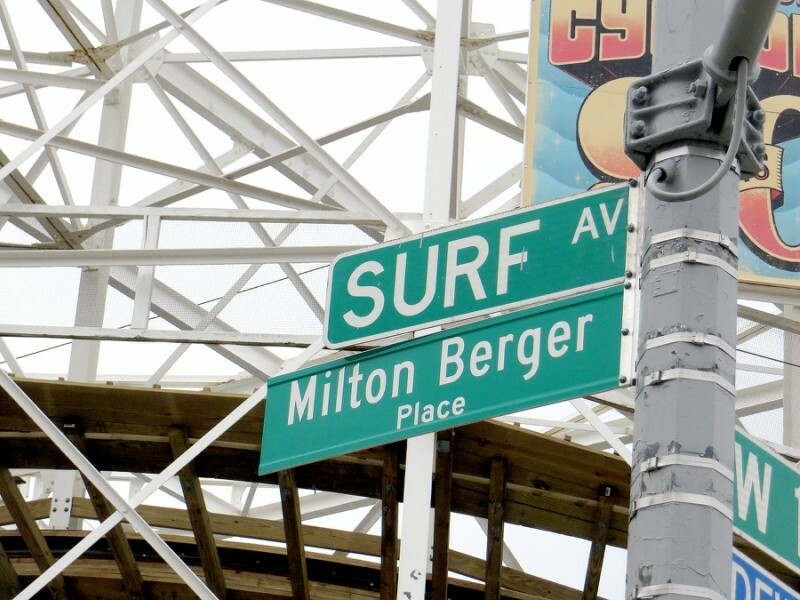 We're located on West 12th Street at the entrance to Deno's Wonder Wheel Park, just a few steps off the Boardwalk. 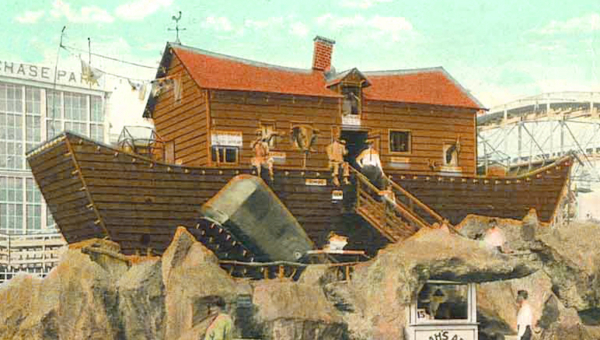 View historic artifacts, photographs, maps, ephemera and films of Coney Island's colorful past. Visitors are invited to take free souvenir photos with the iconic Spook-A-Rama Cyclops and an original Steeplechase horse from the legendary ride that gave Steeplechase Park its name. The History Project is open year-round for our weekend walking tours and group visits, and for oral history interviews. 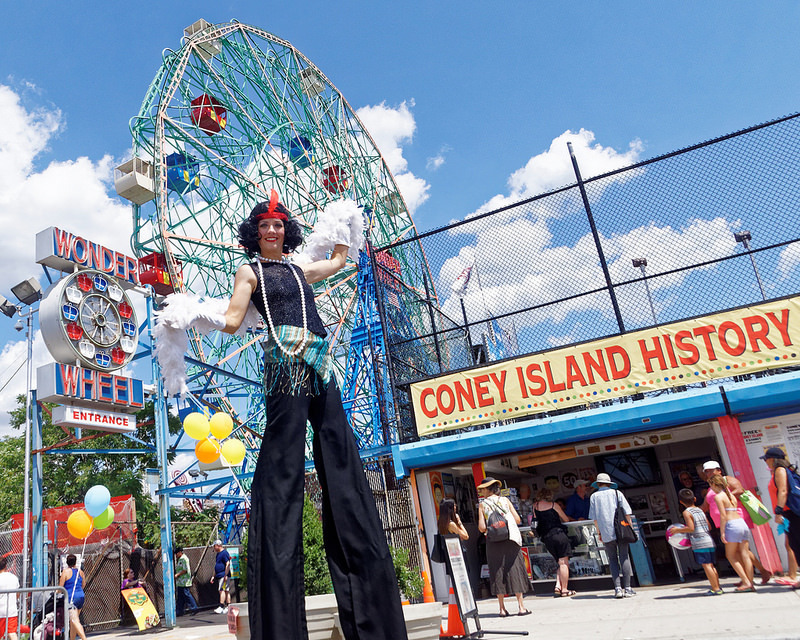 There's lots to do from spring through the beginning of summer in CONEY ISLAND! For Coney news, events, conversation, photos and special features like "On This Day in History,"
follow the Coney Island History Project on Facebook, Twitter and Instagram. On Saturday, April 21, 2018, learn about the contributions of immigrants to the history and development of "The Playground of the World" on our Immigrant Heritage Tour of Coney Island (康尼岛移民遗产之旅) conducted in English (12:00 PM) and (Mandarin 3:00 PM). The Coney Island History Project is offering this special walking tour as part of Immigrant Heritage Week 2018. Tickets are free of charge for the 1-1/2 hour, wheelchair accessible tour but must be reserved online as each tour is limited to 40 participants. Advance ticketing is available via our online reservation page on Eventbrite. If you have a question, please email events@coneyislandhistory.org. Coordinated by the Mayor's Office of Immigrant Affairs, Immigrant Heritage Week is an annual citywide program of events celebrating the history, traditions and contributions of New York City's diverse immigrant communities. This year's IHW is scheduled for April 16-22 in recognition of April 17, 1907, the date when more immigrants entered the U.S. through Ellis Island than any other date in history. The theme for Immigrant Heritage Week 2018 is "A City of Immigrants: United in Action." Click here to download a pdf brochure of events from the city's website. 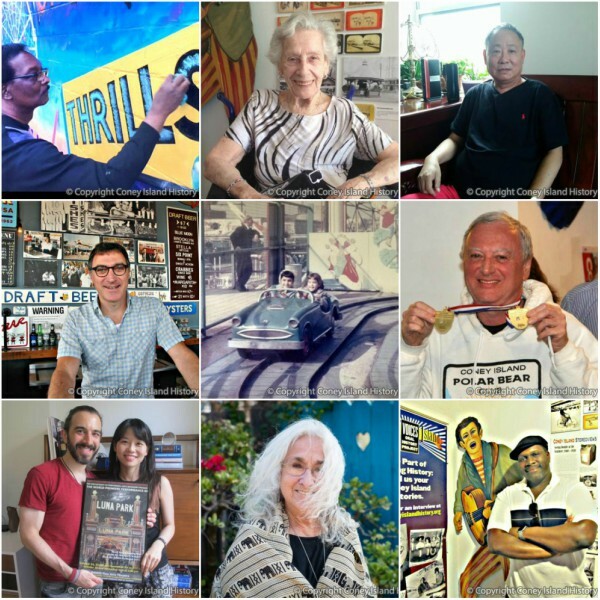 The walking tour will also highlight businesses operated by immigrants from Hong Kong, Jamaica, Mexico, Turkey and Ukraine who have recorded their stories for the Coney Island History Project's Oral History Archive. The Immigrant Heritage Tour will be led by Tricia Vita and Sylvia Ching Man Wong, who facilitate and record oral histories for the Coney Island History Project. You're invited to visit the Coney Island History Project's exhibition center on Coney's traditional Opening Day, Palm Sunday, March 25, 2018. 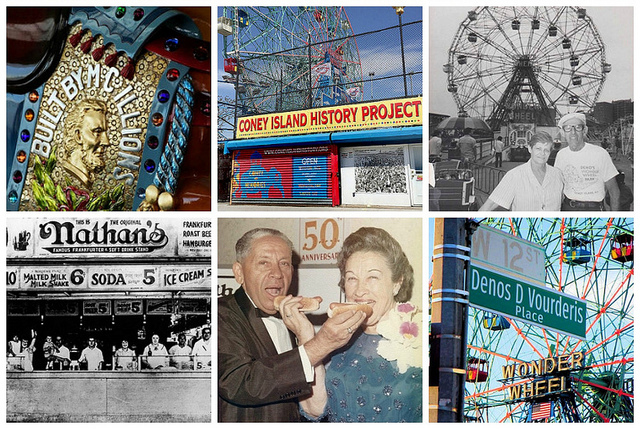 View historic artifacts, photographs, maps, ephemera and films of Coney Island's colorful past. Take a free souvenir photo with the iconic Cyclops head from Deno's Spook-A-Rama dark ride and an original Steeplechase horse from the legendary ride that gave Steeplechase Park its name. Among the treasures on display is Coney Island's oldest surviving artifact: The 1823 wooden Toll House Sign dates back to the days when the toll for a horse and rider to go over Coney Island Creek to "the island" was 5 cents! This Sunday only, as a special added attraction, visitors are invited to look through an antique arcade machine called a Cail-O-Scope and experience stereoview 3-D images of early 1900's Coney Island. The machine is set for 25 cents. Special thanks to arcade restorer Bob Yorburg, who is bringing this treasure filled with rare, unusual Coney Island images from his collection to the History Project for opening day festivities. The Coney Island History Project will be open 1:00PM-6:00PM. Admission is free of charge. 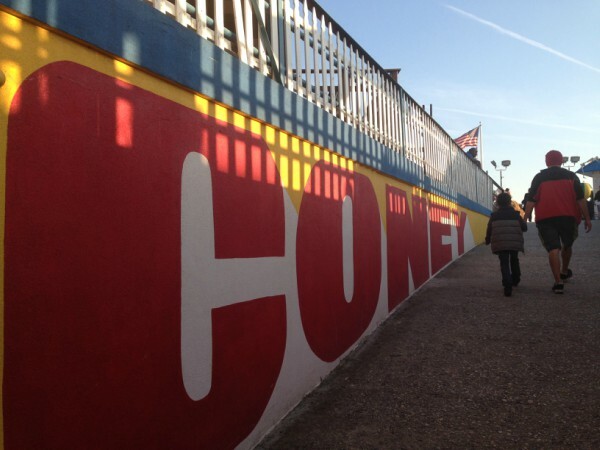 2018 marks the 14th anniversary of the Coney Island History Project and our seventh season at Deno's Wonder Wheel Park. Since our inception in 2004 with a portable recording booth on the Boardwalk, followed by the opening of the Coney Island Hall of Fame in 2005, and the inaugural season of our exhibition center under the Cyclone at Astroland Park in 2007 and moving to Deno's Wonder Wheel Park in 2011, we have proudly offered "Free Admission for One and All!" at our exhibits and special events. Opening Day festivities start at 10:45AM on the Boardwalk with the 34th Annual Blessing of the Rides at Deno's Wonder Wheel Park. The late Pastor Debbe Santiago of Coney Island's Salt and Sea Mission originated the event with Denos D. Vourderis, who invited children from the Mission to enjoy free rides and Easter baskets, a tradition that continues today. Deacon Toyin Fakumoju of the Mission will lead the Blessing this year and the NYC Fire Department Ceremonial Unit will present the colors and sing the National Anthem. A ribbon cutting ceremony hosted by park owners Dennis and Steve Vourderis will be followed by free rides on the Wonder Wheel for the first 98 guests in celebration of the Wheel's 98th year. At Luna Park, the first 100 on line at the Cyclone roller coaster will ride the roller coaster for free and egg cream samples will be given out. Coney Island's 1920 Wonder Wheel and the 1927 Cyclone are official New York City landmarks. Located on West 12th Street at the entrance to Deno's Wonder Wheel, just a few steps off the Boardwalk, the Coney Island History Project is open free of charge on weekends and holidays from Memorial Day Weekend through Labor Day from 1:00-7:00PM. We will also be open on Easter Sunday, April 1st, from 1:00-6:00PM. The Coney Island History Project is open year round for private group visits and our weekend walking tours as well as by appointment to record interviews with people who have memories of Coney Island for our Oral History Archive. Among the additions to the Coney Island History Project's online Oral History Archive are the following interviews recorded by Amanda Deutch, Charles Denson, Kaara Baptiste, Mark Markov, Samira Tazari, and Xiaoyan Li. Please listen, share, and if you or someone you know would like to record a story, sign up here. Interviews may be recorded in English, as well as Chinese, Russian, Spanish, and other languages. Stephen Gaffney is an artist who restored the beloved vintage signs and painted new ones for Paul's Daughter, the oldest operator on the Coney Island Boardwalk. He talks about how he "memorializes the goings on of the store" with some of his signage, such as Paul's call to customers "Hey! Get It, Get It!" Naum Barash recounts his 50 years of winter swimming in Ukraine and Brooklyn. A native of Chernovtsy in Ukraine, he is a member of the Coney Island Polar Bear Club. This interview was conducted and recorded in Russian, and includes a Russian transcript and an English translation. Gladys Sandman and Lucille daCosta, née Salvia, share girlhood memories of growing up on Coney Island's West 5th Street in the 1950s and early '60s before their home was demolished to make way for Warbasse Houses. Sam Moses, 66, tells stories of his boyhood apprenticeship at a Brooklyn sign shop and his dreams of painting in Coney Island. In 1998, he moved to Sea Gate and started working out of a sign shop in a trailer behind Nathan's. The front of Denny's Ice Cream on Surf Avenue was one of his masterpieces. Anthony Wang, a resident of senior housing in Coney Island, was born in Shanghai, survived the Cultural Revolution, and immigrated to the U.S. in 1992. This interview was conducted and recorded in Mandarin, and includes a Chinese transcript and an English translation. Gloria Nicholson was born in Coney Island in 1940 and grew up in a rooming house that her mother managed on the Bowery. She reminisces about the unusual attractions and cast of characters who populated her childhood including Ned Tilyou, Tirza's Wine Baths, Shatzkins Knishes, the Shark Lady, and fortune-telling myna birds. Jeffrey L. Wilson shares memories of growing up in Coney Island, where his family moved to O'Dwyer Gardens from Flatbush in 1986. Now an editor at PC Magazine, he writes about video games and other tech subjects, and talks about his formative years as a regular at Faber's Fascination arcade. Deena Metzger is a writer, poet and healer who was born in Brighton Beach in 1936, moved to Sea Gate when she was three, and went to school in Coney Island. 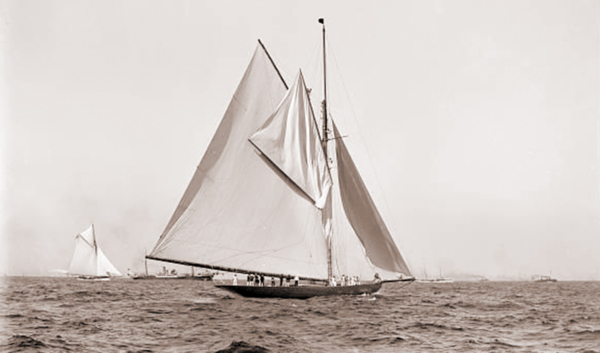 "The land, the water, the sea were formative characters in my life," she says. "When I was young I believed that one learned to write by walking." Michael Cooper and Hyeyoung Kim are a lyricist and composer who began working collaboratively in 2005. They talk about researching and writing Luna Park, a musical which chronicles the partnership of Fred Thompson and Skip Dundy, creators of Coney Island's first Luna Park. Ida Rosenblum Gambrell, 94, recalls her childhood summers in Coney Island at her aunt's home on Surf Avenue and West 24th Street, where one of the rooms was rented to summer boarders, and getting separated from her family during the chaos of the Luna Park fire of 1932.